For some time now, the spot in has been relatively empty aside from mud, waste and strewn garbage. There’s an application to build condos on the site. 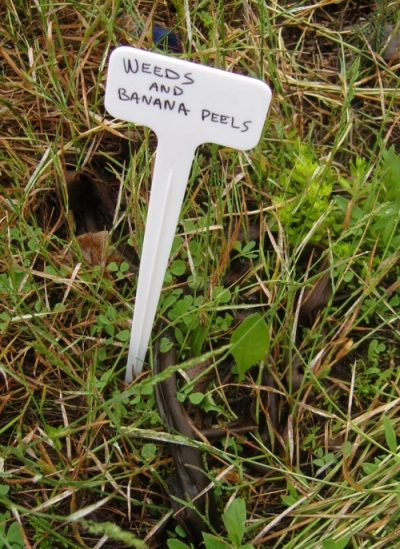 It has remained undisturbed since Monday and I watered it yesterday because there hasn’t been any rain lately… Grass is pretty resilient, so it should survive and take root unless/until somebody removes it. Joe Clement assisted me with the install. We think this project by Toronto street artist Posterchild is pretty damn clever. 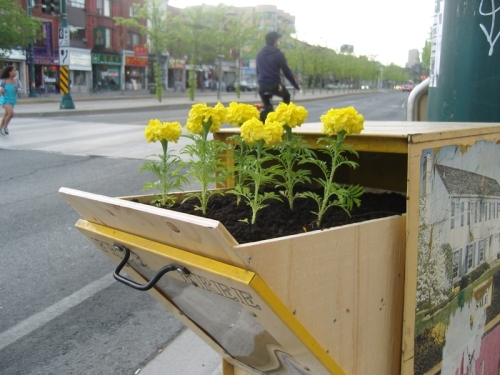 He’s taken the empty flyer boxes littering the city streets and turned them into planters. I’ve always been amazed by the state of most flyerboxes. More often that not, they are empty. Some haven’t been filled in years. 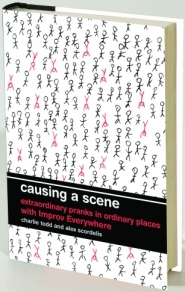 Yet, there they are: everywhere in the city- at every intersection. Taking up valuable sidewalk space. Some are supposed to offer free news and culture print publications that make revenue from ads, some are supposed to offer free junk-mail type publications, with the expectation that someone will stop and take one completely beyond me. A rare few are supposed to offer a free publication of a certain political or religious leaning- probably bankrolled by whatever church or group can finance the publication of that message. For whatever reason, a great many of them offer nothing but an empty box. But that offers a great opportunity for some people! Graffiti artists love them as a platform for their stickers and tags. People with trash but nowhere to put it love them as a makeshift receptacle for garbage. I tried to think of better ways than “Garbage Can” to re-imagine the interior spaces of these flyerboxes- better ways to make use of the whole box- not just the exterior walls. This is what I came up with. I think it’s pretty great, if I do say so myself. The boxes makes a perfect platform for planters- and with them you can guerrilla garden almost anywhere in the inhospitable concrete city! Best of all, it leaves the sides open for writers and artists. …and with this “impending collapse of print media”? 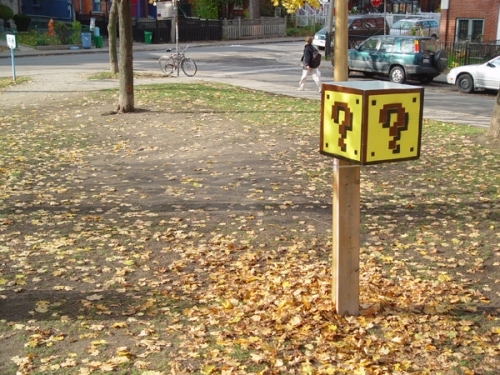 You may just see these appearing in old, abandoned Newspaper boxes. You might also enjoy this similar project, also from Toronto, Poster Pocket Plants. 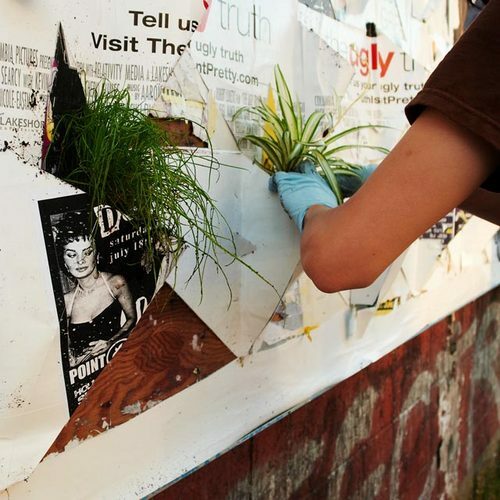 Advertising posters are converted into planters. 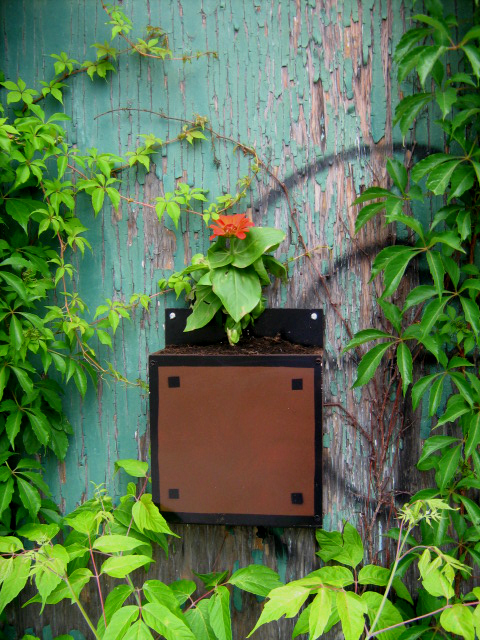 Is Toronto the guerrilla gardening capital of the world? What are we sowing? What have we planted? It seems like we forget unless it’s labeled. 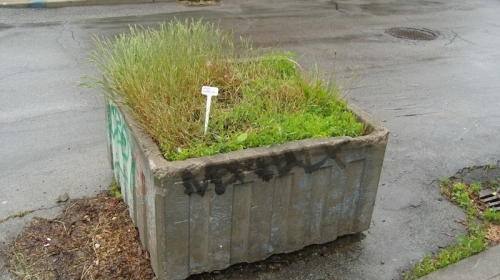 This is an attempt to highlight the “obvious-yet-invisible”, to encourage/shame municipal authorities into doing some real gardening with their many derelict planter boxes. 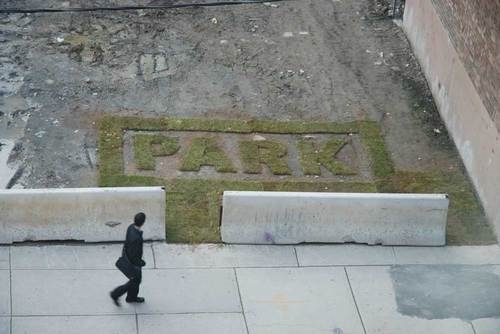 It is also meant to inspire Guerrilla Gardeners to take action of their own! !